Imagine. The political crisis is over. Zuma has resigned and been allowed to leave the country for the Philippines, where President Duterte has said he can stay as long as he likes. 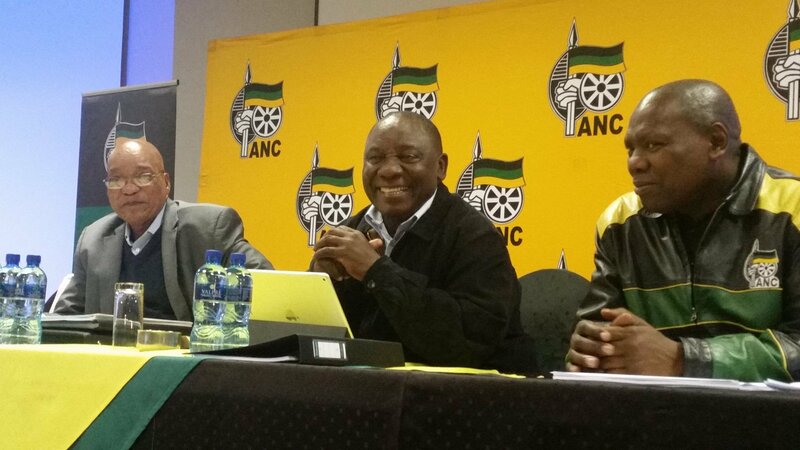 The ANC has elevated Cyril Ramaphosa to the presidency. A flood of new investment has poured into the SA bond market and the Rand is now trading at R11.55 to the dollar. S&P has just reviewed SA credit rating and upgraded the country to BBB back to investment grade. 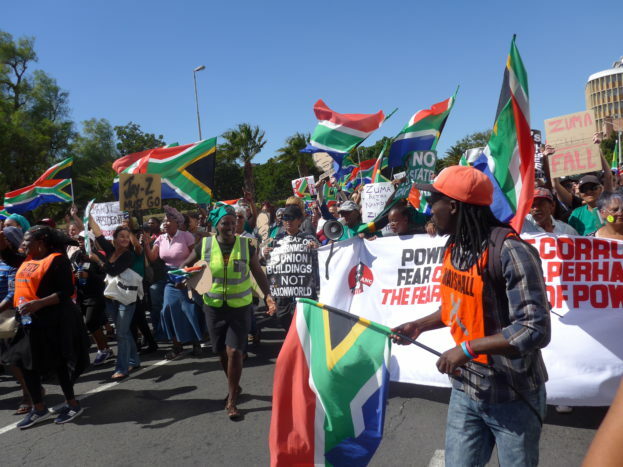 SA First has cancelled marches that were scheduled to take place on June 16. Angus Buchan, who led more than a million in prayer during the crisis, proclaimed that his people’s prayers had been granted. God is bountiful. 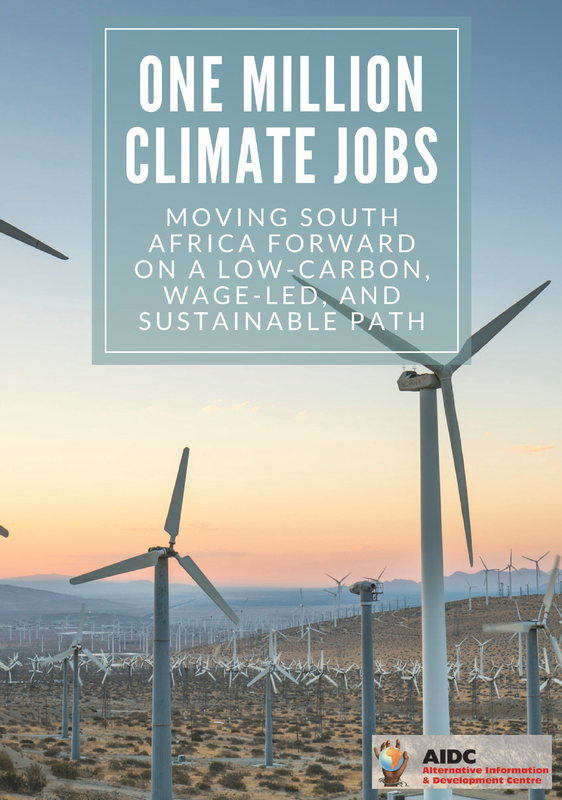 Imagine that you are one of the more than 9 million unemployed people of South Africa. Your sister is one of the 17 million South Africans who receive social grants. What difference does all this hullabaloo about credit ratings make to your lives? What difference does this change make – from Zuma the Gupta lackey to Ramaphosa, the BEE millionaire? Ramaphosa instead of Zuma? Does it make a difference? Clearly, the crisis in South Africa runs much deeper than Zuma. It is a crisis of the economy as well as a crisis of politics. Whatever the resolution of the political crisis, there will still be a crisis of deindustrialisation, of jobs, of houses and provision of decent services. Most of all, there will be the crisis of the extreme gap between the rich and poor. How do we respond to this crisis? So does it mean then we don’t care about the fight between the predatory Gupta’s on the one hand and established global capital on the other? Interestingly, on this issue, Cosatu and Numsa, noted rivals, seem to agree. A plague on both their houses, they say. They are all thieves. At odds with Cosatu and Numsa is the new General Secretary of Saftu, Zwelinzima Vavi. 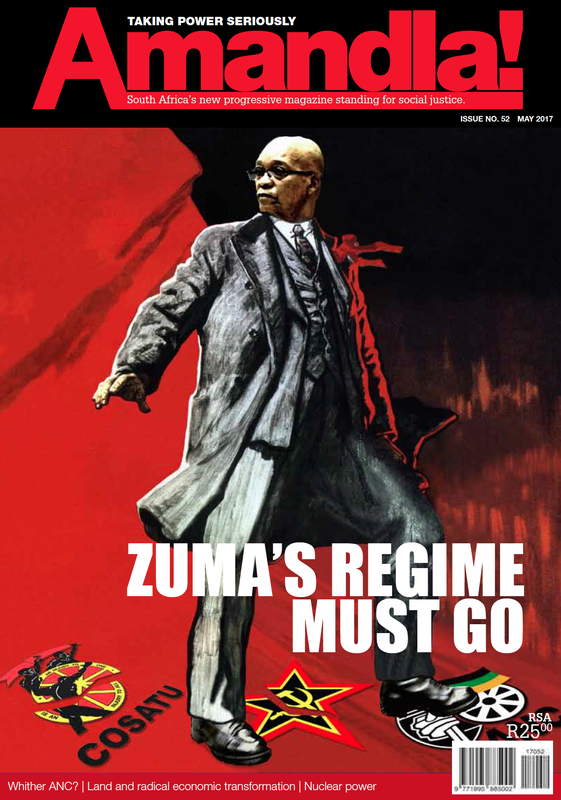 He has been clear for many months that the predatory elite is a key enemy and the toppling of its chief representative in the state, Jacob Zuma, a key task. A distinct variant has come recently from Chris Malikane the new advisor to the new Minister of Finance. Interestingly, he has in the past been an advisor to both Cosatu and Numsa. But he doesn’t agree with either of them on this issue either. In his view, we must certainly take sides. We must support the predatory elite in their battle with white monopoly capital. They are completing the tasks of the National Democratic Revolution. Therefore we must join with them in a broad anti-white monopoly capitalist united front. Do we take sides? Which side are we on? 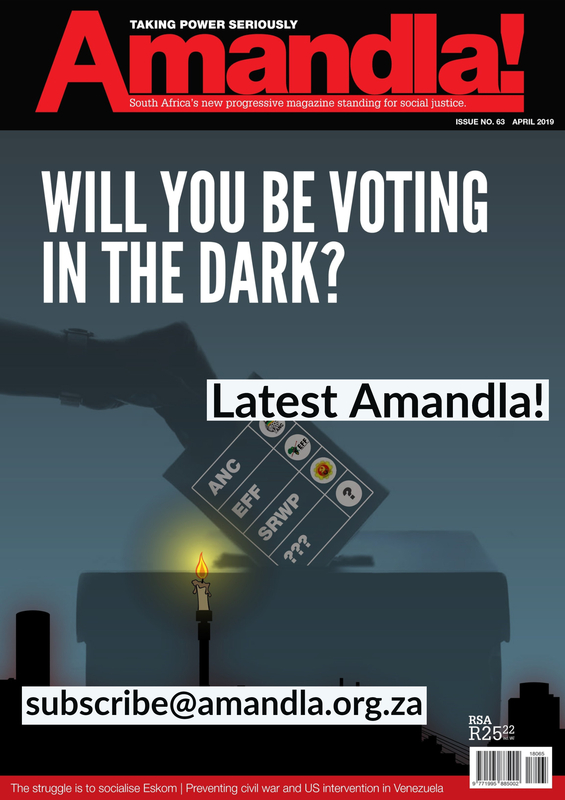 It is quite true that the factions of the ANC represent the interests of different sections of capital. Zuma represents the looter capitalist section, a kind of lumpen bourgeoisie, the tenderpreneurs, the State-Owned Enterprise parasites. Cyril is closer to big, global capital which is after all where he made and continues to make his money. So if it is a war between fractions of capital, why interfere? Let them destroy each other. We will get on with our own business with our one-day stayaway focused on our own demands. 1. The key argument is that the looter capitalists threaten democracy. Yes, we know it’s a limited form of democracy that protects private ownership. But it still provides better conditions for struggle than repressive dictatorship. The looter capitalists need to control the justice and law and order arms of the state in order to be able to continue looting. Zuma’s focus on placing compliant people in these positions is no accident. The global capitalists, on the other hand, have no such need. They make profit in the normal way exploitation of labour. 2. The second reason is that the activities of the looter capitalists affect the material conditions of life of the working class and the poor. Rising interest and bond rates will have the most severe effect on the working class and the poor who are most dependent on the state for resources. 3. Thirdly, control of the Treasury gives the predators the means to prioritise unnecessary investment. They do this because it provides new opportunities for looting. Hence the war over the nuclear deal, in which the predators lost a battle, courtesy of the Cape High Court, just before Amandla went to press. Hence the trains that are too big, the inefficient but lucrative coal supplies to Eskom. Hence. Hence. Hence. The list is endless. So, we believe that the defeat of the kleptocracy is in the interests of the working class and the poor. But we don’t believe that your enemy’s enemy must be your friend. Waging war on the kleptocracy does not for a minute represent support for what Malikane and others call white minority capital. On the contrary, fighting against the kleptocracy will strengthen the working class in its life and death struggle with neoliberalism and capitalism as a whole. But you are standing in the way of radical economic transformation! So goes the self-serving, opportunistic argument of the dominant faction of the ANC leadership. Yes. They are really trying to sell this story, incredible as it may seem. To believe it, you would have to believe that coincidentally, after 23 years in power, they have suddenly decided now to change the course of macro-economic strategy completely. Of course, you would also have to reconcile this story, which is for the South African masses, with the other ANC story that nothing will change. That is the story they are telling the ratings agencies and overseas investors. But this story is not innocent. It would be a joke if it wasn’t so serious. Imagine radical economic transformation in the hands of the ANC. Imagine nationalisation of the banks, for example, under the control of the ANC. Or the mines. Or other parts of the commanding heights. What we see now at Eskom and Prasa would pale into insignificance in comparison. The sufferers again would be the working class and the poor. Do we join the current protests? If we do, are we just following the whites? Or the middle class? They don’t jump up and down about poverty or exploitation. They only get really upset when you try to take away their control of the Treasury. Let them get on with it. We have other issues to pursue. We believe that we cannot afford to isolate ourselves, as the working class and the poor, from activism, just because it contains significant middle class forces. On the contrary, our task is to lead those forces. We know that we don’t have the same fundamental class interests. But right now the middle class is also hurt by the same economic forces that attack the working class and the poor. They will be poorer. Not poor, but certainly poorer.They will pay more for their credit ñ their houses and cars. More for their utilities. As long as we are able to express our class interests within a mass movement, that is where we should be, promoting the self-activity of the oppressed layers in society. Imagine if all the marches all over the country on Friday 7 April had been supported by workers and workers organisations. Whose banners would have been the most prominent? Who would have been there in the greatest numbers? When the opposition parties marched together, it wasn’t the DA which dominated. It was the red berets and t-shirts of the EFF. And our banners and placards could say ANC must fall Capitalism must fall etc. By being there, we would contest for leadership of this national struggle. By staying away, we abandon the terrain. That is why we have always fought for the principle of the united front. That is what the united front is ñ a variety of class forces combining around limited demands, all free, at the same time, to pursue our own demands. Politics is about engagement. Studying, reading, issuing statements these are all necessary components of political activity, but in the end respect is won through engagement. It is only through engagement with non-radical forces over common interests that we can hope to convince others that really, there is no alternative. As long as we are permitted to speak our minds in popular movements, that is where activists should be.